Spring Forward... to a Maximo User Group! 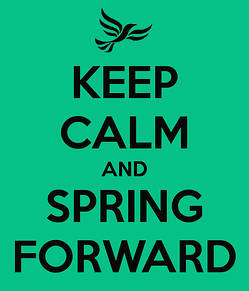 This weekend, most of us will spring forward to Daylight Savings Time. From warmer weather to longer days, this is one of my favorite times of the year. It's also the time of year when Interloc looks forward to seeing our friends and clients at the Spring Maximo User Groups across North America. From Denver to Detroit and Seattle to Toronto, there is sure to be a User Group that satisfies your needs. If you've never been to a Maximo User Group, I want to personally encourage you to attend. Typically 1 - 2 days of learning, these regional groups foster a sense of community and networking. They are focused groups run by your peers, not by vendors. To gain a unique perspective on why you should consider attending a User Group, check out this blog post, written by my friend, Ron Wallace. For more details on these events, visit our Events page.